Here, I am going to start a demo project that will go through the entire tutorial. This is the startup of the project and as the tutorials will move next, the more components will be added to this project. Here, I am going to develop a project on ComputerShop, in which I will implement following modules. All these modules will be covered through the entire tutorial. 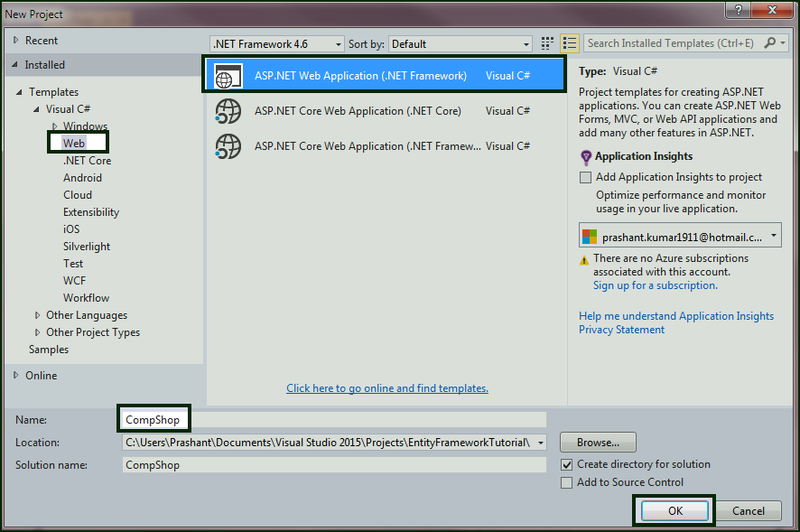 Here, in this chapter, we will just create an ASP.NET MVC5 Project CompShop and will do the following thing. 3. 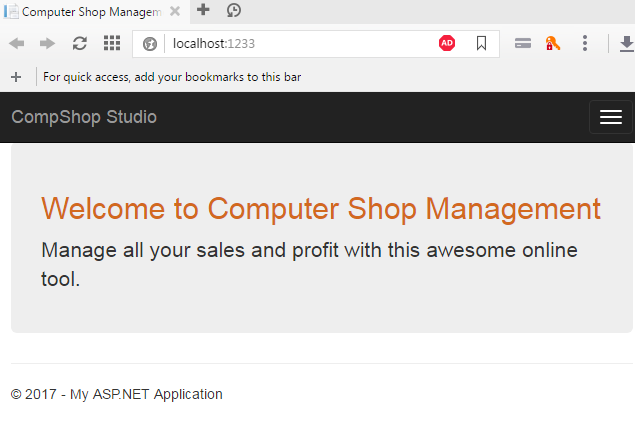 Select Web in the left panel, Select ASP.NET Web Application (.NET Framework) in the middle panel, and give project name as CompShop. Click OK to continue. 4. 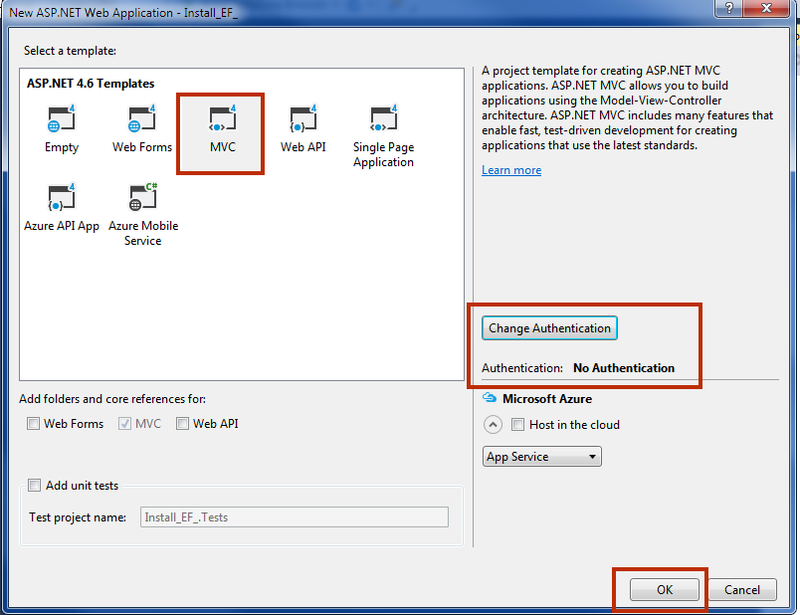 In the next window, select MVC Template and change Authentication to No Authentication. Now, click OK and OK. Now your project has been opened in Visual Studio. 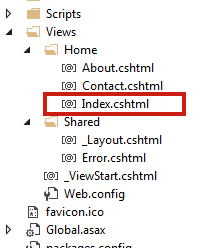 Step 1: Go to Solution Explorer Views Home and open Index.cshtml. Step 3: Open Shared Layout.cshtml and change the Application Name into CompShop Studio. a. Find the following line of code. b. And Replace with this code. Step 4: Press F5 to run your Project. Congratulations! You have started your First MVC 5 Project. By involving your small effort, very soon you will be the master in ASP.NET MVC 5. 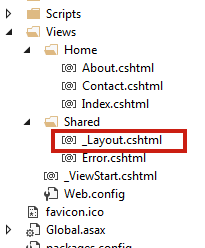 In the next chapter, you will learn about MVC Guidelines and Folder Structure.